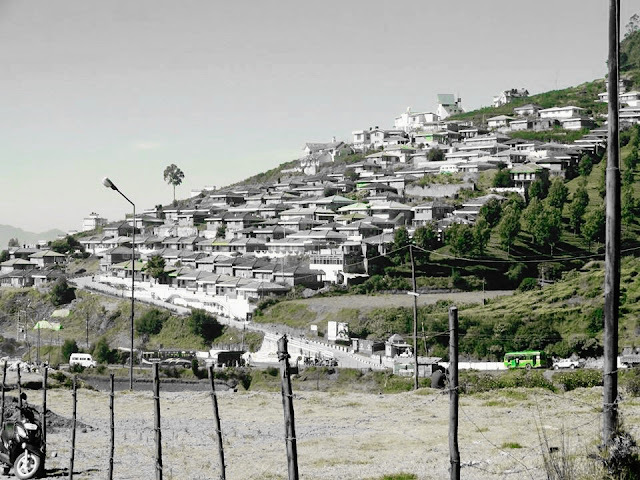 Ooty or Ootacamund is one of the most popular hill stations in Tamil Nadu since ages. 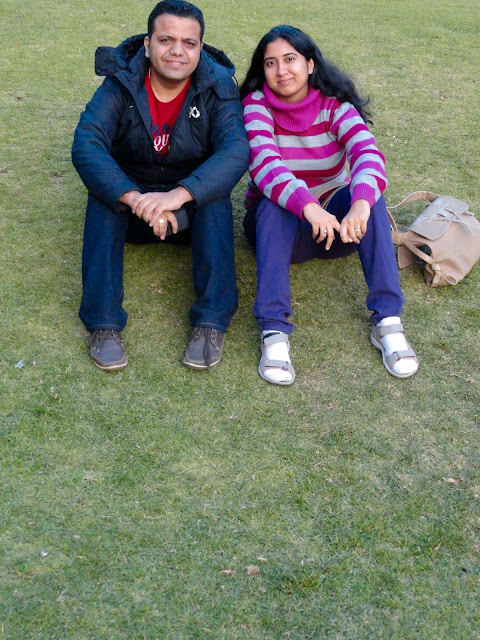 The past generations used to go to Ooty for their honeymoon and our generation couples go there for a casual outing. Times have changed and so does the beauty of Ooty. Located amidst the Nilgiris, it sees swarms of tourists year after year. How to Go: Ooty is ~280 kms from Bangalore by road.There are KSRTC busses which have a good frequency and look comfortable. We decided to drive to Ooty in our very own Honda Amaze. 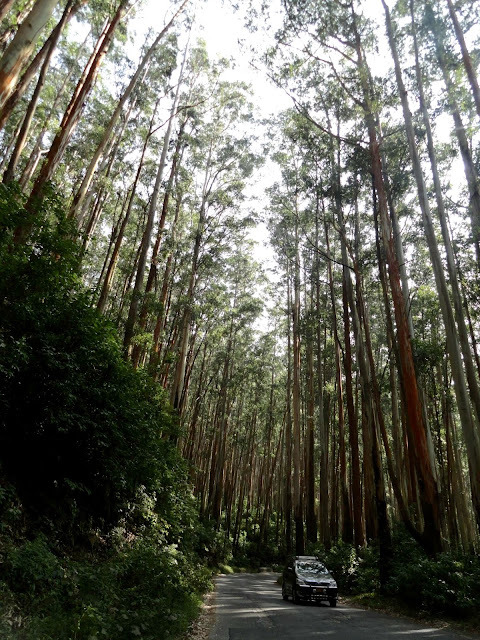 Route: There are two popular routes to Ooty from Bangalore - First is via Gudallur (bus route) and the second is via Masinagudi (with steep climb and hairpins). The first route is longer and the road is a bit broken in parts, so the time taken to go via this route is much more as compared to the second one. But it doesn't have steep climbs or tough turns, so it is good for drivers who are new to hill driving. The route is more scenic than the one with hair pin bends. The second route on the other hand has 36 hair pin bends in succession. At each bend you will find boards with the number of hairpins left to go along with some advise on safe driving. No matter how carefully you drive, the taxi drivers are rash and will overtake even on the most dangerous turns. The road is well maintained and the journey gets very short on this route. The best approach to follow is follow Route 2 (with 36 hair pin bends) while going and while receding down follow the first route (longer one). Time To Go: Please do not go during peak season i.e. December January. 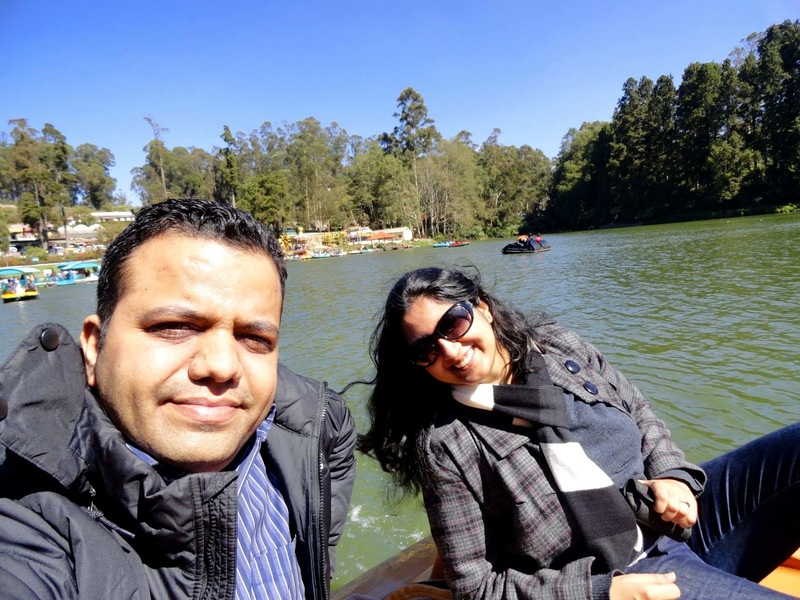 We wanted to celebrate our New year and it was a big mistake to select Ooty for that. As soon as we landed there, we were welcomed by hoards of tourists vying for some space. There was no single spot where we could click a romantic shot because in every sq feet there were people and no frame without them in the background. Hotels were full too and very expensive. Days were sunny and nights were too cold. I would recommend going in Off season so that you can enjoy the beauty of the place rather than smell the scent of sweat from nearby uncle or the scent of gajra from nearby Aunty's hair. What to Visit - There are many spots as the tour guides say, there is a Botonical garden, rose garden, dodabetta peak, some lakes and boating options but all are very commercial spots. The best way to enjoy there is to book a nice hotel/resort and enjoy the weather. 1. Botonical Garden - Fresh grass, tall trees and a cloudy sky. There is a small entrance fee and a separate camera fee. Do not buy special camera ticket because there are so many people, no one really checks it. There are small shops outside selling chai, bhajji, corn.. eat and have fun. 2. 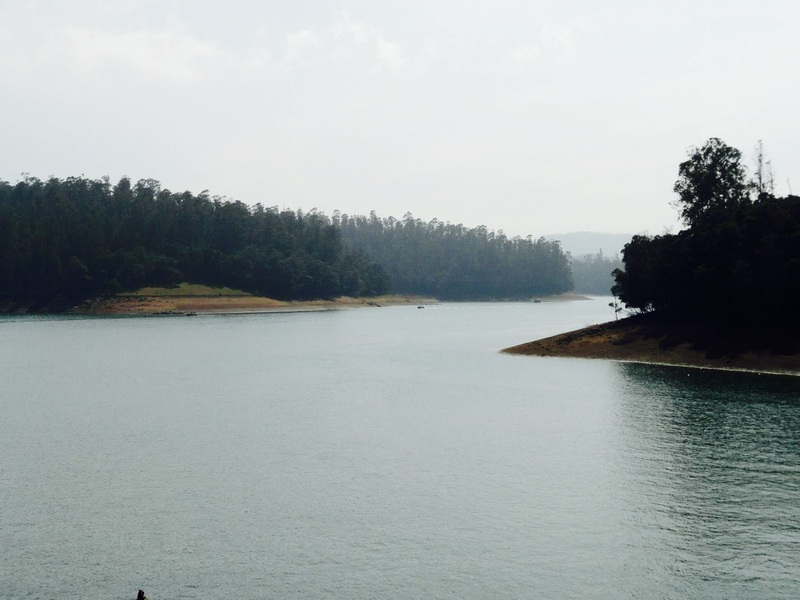 Ooty lake - The lake is beautiful surrounded by pine trees but very commercialized. Many small shop vendors will bother you with their artifacts. We did pedal boating there and we felt as if we were re-living our old time romance as they used to do in 80s movies. The weather was hot and I was bit apprehensive about boating, but once you get on it, the breeze is cool and makes you forget everything. 3. Periyar Lake - This is a must visit place according to me. The road to this lake is broken and it takes hell lot of effort to reach there. This spot can be visited while on the way back from Ooty. The lake is mesmerizing and not too commercialized. Boating options are there but we did not explore it. We loved to just sit by it and let the beauty of the water and mountains sink in. 4. Tea Gardens - While returning from Ooty, you will spot lots and lots of tea gardens. 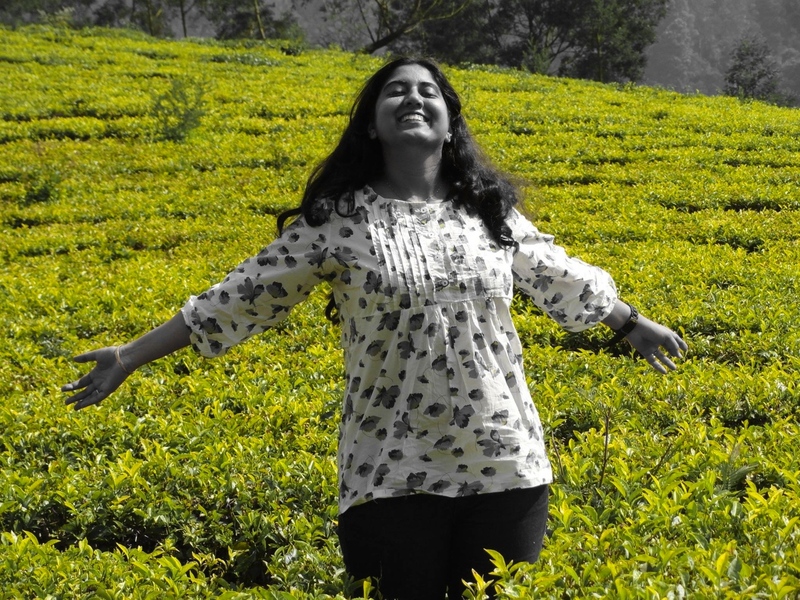 Although I have visited tea gardens many times in Coorg, Kerala and other destinations, they never seem to bore me. I always love to walk in the green alleys and pose for some pictures. 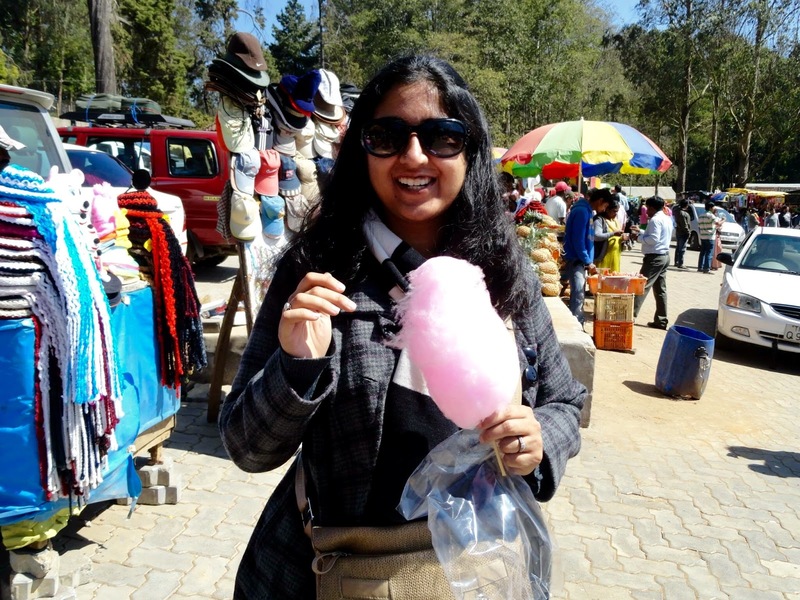 Overall Ooty is good for a short outing or a weekend gate away from Bangalore. But do not go in peak season otherwise lots of tourists from Coimbatore, Tamil Nadu and nearby cities will crunch into your camera frame. I have driven through the kalhatty route it is awesome one... While coming down there will be some people to check your car brakes and only then they allow.. Need to apply brake all the time... Yes it's not a great place to go during season time.. Thanks Arun :) yes season time is bad..
Nice photos :) I also prefer to go there off-season; the same is the case for similar places like Munnar and Vagamon too. Nice pictures...can you advise me 3-4 places nearby which can be clubbed in 4-5 days tour to this region.